Shank fits 2" hitches and offers up to an 8" rise and a 2" drop. System uses optimal points of tension to help prevent sway while it balances your trailer's load for a more level ride. Clamp-on brackets require no drilling. Lowest Prices for the best weight distribution from Blue Ox. 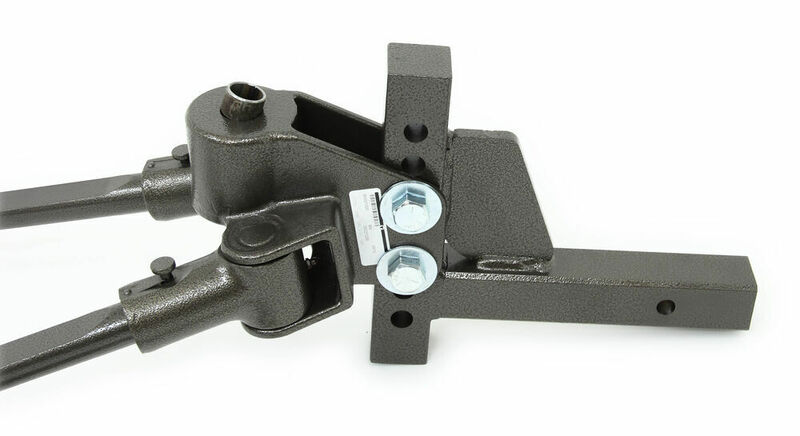 Blue Ox SwayPro Weight Distribution w/ Sway Control - Clamp On - 15,000 lbs GTW, 1,500 lbs TW part number BXW1500 can be ordered online at etrailer.com or call 800-298-8924 for expert service. 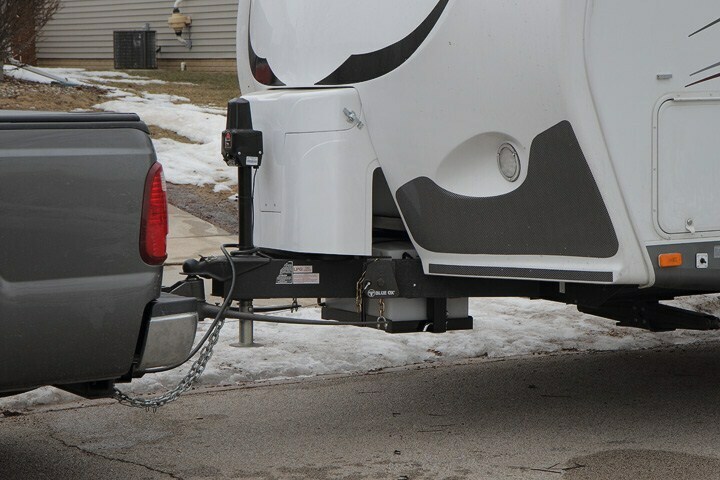 Perfect for your short-tongue trailer, this heavy-duty weight-distribution system will help to evenly distribute the load over the axles of both your tow vehicle and trailer for a smooth, controlled ride. Shank included. Hitch ball sold separately. 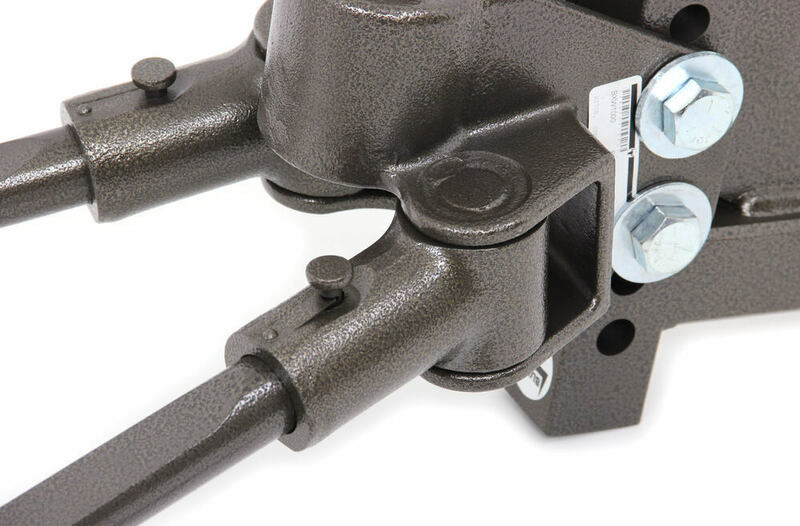 Built-in, active sway control keeps your trailer in line by using specific tension points and steel-on-steel resistance. System head is adjustable so you can easily achieve the proper tilt. 2-5/16" Ball included. Today we're going to be taking a look at the Blue Ox SwayPro Weight Distribution System. The unit's going to help evenly distribute weight over the axles of the tow vehicle and the trailer for stability and control. It's going to create a more level ride for both the tow vehicle and the trailer. This unit's going to feature built-in sway control, it does not need friction, it doesn't need separate items or separate parts to go with it, it's built-in and that's going to help prevent trailer sway as you travel down the road and experience those different types of conditions that cause trailer sway. When this is fully installed and you have tension applied to these bars, the bars are going to maintain constant tension which is going to help force and keep the trailer in line during travel. We're also going to have the rotating lift brackets that are going to ensure that the chains are tight, and that's really going to do a great job at keeping the bars from moving. The bars always seek out constant tension to help keep the trailer in line. The system is also known to be a very quiet system during travel, which is a great benefit and feature of the unit. Now, this is a trunnion bar design, these bars are designed to flex for a controlled, even ride. Here in the head assembly, they are going to lock automatically in place, and they can easily be removed. I'll show you how to do that real quick. It's got these pins right here. 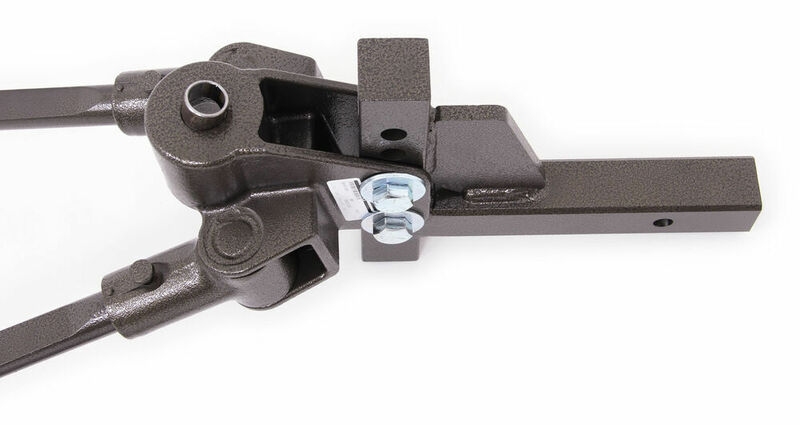 There's really no additional pins and clips with the unit, the only pin and clip you have to worry about is the one to secure the adjustable shank inside the receiver tube of your hitch. Everything else is very simple to do and to use. To remove the bars, you lift up on this little lever here, this knob, and that's going to allow you to rotate the bar and then to slide it out of the head assembly. Very quick and easy removal. You will also notice that the end of our bar is not dirty, it doesn't have any grease on it, the grease is contained inside the head assembly. The head assembly is going to contain two zerk fittings for easy maintenance, and it doesn't get on the bar. As you disconnect these, you don't have to worry about making a big mess and getting dirty. They'll automatically lock in place. To put them in, slide it all the way in, rotate it, and that will push back down. That's going to automatically lock the bar in place inside the head assembly. The bars are also marked with a dot system, I don't know if you're able to see that or not, but right here this one's going to contain four dots. What that does is that identifies the weight rating of the bar. This one has four dots, which means it's a 1,500lb bar. The neat thing about the Blue Ox SwayPro systems is that if you get a new trailer, there's no need to buy a brand new system. All you have to do is purchase the appropriate bars for your new setup, and they're going to work perfectly with the head assembly. All you have to do if you get a new trailer, just buy new bars. Again, no pins or clips to mess with or to worry about losing and keeping track of. Once again, the unit's going to contain two zerk fittings, I'll go ahead and show you those. If you take this channel where the arm slides in and you rotate it, you can see back here that we have a zerk fitting, and it's going to be located in the same spot on the other side. Here at the back of this unit, it's got a stop so you can go in there and you don't worry about getting any grease on you. The grease is self-contained in the head assembly, it's going to lubricate just that moving component right there. It doesn't make a mess at all, the zerk fittings, again, allow for very easy maintenance. 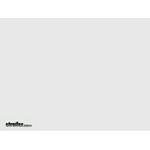 This unit does come with a detailed instructions and owner's manual to help with the maintenance responsibilities and the installation process of the unit. It's also going to feature the unique rotating lift brackets. These are going to be what connects the spring bars to the trailer, very quick and simple to use. All you have to do is insert the lift chain directly into the bracket, it's got a special link design in there so it holds the chain at one point upright, and then it lays flat everywhere else. That way the chain can not back out of there when tension is applied. Insert the lift chain into the slot and then you can use the included wrench, or tool right here, to rotate the lift bracket into place. That fits over that portion there, really easy design, nice large steel handle with an easy grip design makes for easy leverage and to get it up where it needs to be. These are clamp-on designed brackets, so it's easy to install, no drilling required. It's also a nice low-profile design, that way it allows room for frame-mounted accessories without interference. 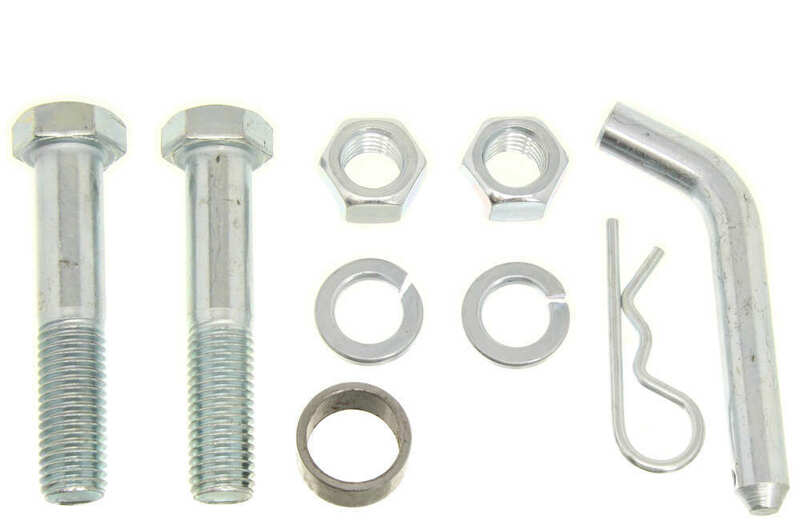 It does come with different sized bolts, so you you have a longer bolt right here and a jam nut, and then you're going to have the shorter bolts that can replace those long bolts depending on the width or size of your trailer frame. Another neat feature about the unit is when you need to release it, all you have to do is pull out this lever right here, rotate, and pull. At the same time, use that wrench to turn this clockwise to release the tension, and then that way you'd be able to remove the chain. Either way, it's kind of the same setup, so you would rotate this, it disengages, use this to rotate, it will lower the chain releasing the tension, then you can remove the chain from the unit, and then remove the spring bar. Setting up is very easy, as well as removing the system from the trailer is very easy as well, and getting those chains off the lift brackets. The lift brackets are a really nice design, very quick, simple, and easy to use. When it comes to achieving the appropriate tilt that you need for your system, another big benefit of the SwayPro is that the tilt is built into the head assembly. If I raise this up to where the unit is level, you can see that the tilt is down here. These are angled down so the tilt built into the head assembly, no more having to mess with a serrated washer design or multiple washers. The only hardware that you have for the unit is at the left brackets and the hardware that secures the head assembly to the adjustable shank. The unit's made from a steel construction, it's going to feature a really nice powder coated finish, so it's going to do a great job at resisting rust and corrosion, at lasting a long time. The only thing that you need that is sold separately is going to be the hitch ball. This does require a hitch ball with 1.25" diameter shank. You could also use a hitch ball with a 1" diameter shank. In that case, you would have to use the included reducer sleeve to accommodate. Also, under here it's hollow, so it gives you plenty of room to thread on the lock washer and the nut and to get that tightened down for your hitch ball. The product's made in the USA. Blue Ox is going to cover this with a limited lifetime warranty. The tongue weight for this unit is from 1,000-1,500lbs. Gross towing weight is 15,000lbs. 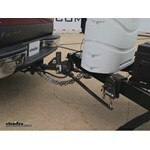 The unit's designed to fit a 2"x2" trailer hitch receiver that's rated for use with the Weight Distribution System. 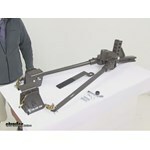 The lift brackets are going to be positioned about 29" back from the center of the hitch ball along the trailer frame. It does come with the adjustable shank that's going to have a 7-hole design, the distance between the hole center on center is going to be about 1.25". The shank length, measuring from the center of the hitch pinhole to the front face of the adjustable bar, that's going to measure 10", and that's going to offer 13" of total height adjustment. The rise with this unit is going to, at the max, at the highest setting, the unit would give you a rise of 10.75". This unit does not offer a drop, but you can use the shank in the drop or rise position. Again, 7-hole design, really nice system. The adjustable shank has the same construction and finish as the rest of Weight Distribution System, so it's going to blend together really well, and it's going to look nice at the back of your vehicle. That's going to do it for today's look at the Blue Ox SwayPro Weight Distribution System. 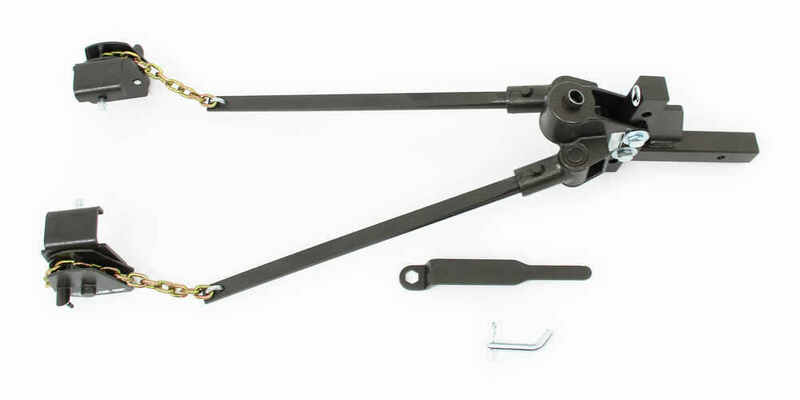 Order: RelevanceNewestRating - High to LowRating - Low to High Shank fits 2" hitches and offers up to an 8" rise and a 2" drop. System uses optimal points of tension to help prevent sway while it balances your trailer's load for a more level ride. Clamp-on brackets require no drilling. Daniel, Thank you for your review. The easiest way to take the tension out of the spring bar is to raise the trailer with the trailer jack. Raise the trailer and the back of the tow vehicle until the tension is reduced. This will allow the bars to be removed. 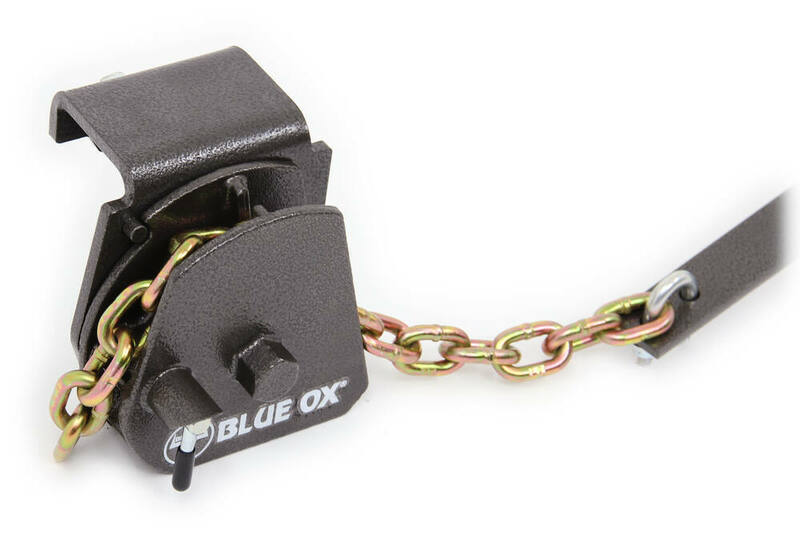 The Blue Ox SwayPro Weight Distribution System, part # BXW2000 we carry is designed for a 2-1/2 inch trailer hitch. We do not offer it with a 2-inch option, because using a 2-inch shank would lower the weight capacity of the system. The highest rated Blue Ox SwayPro system with a 2-inch shank we offer is part # BXW1500. This system is rated for 15,000-lb gross towing weight and 1,500-lb maximum tongue weight. 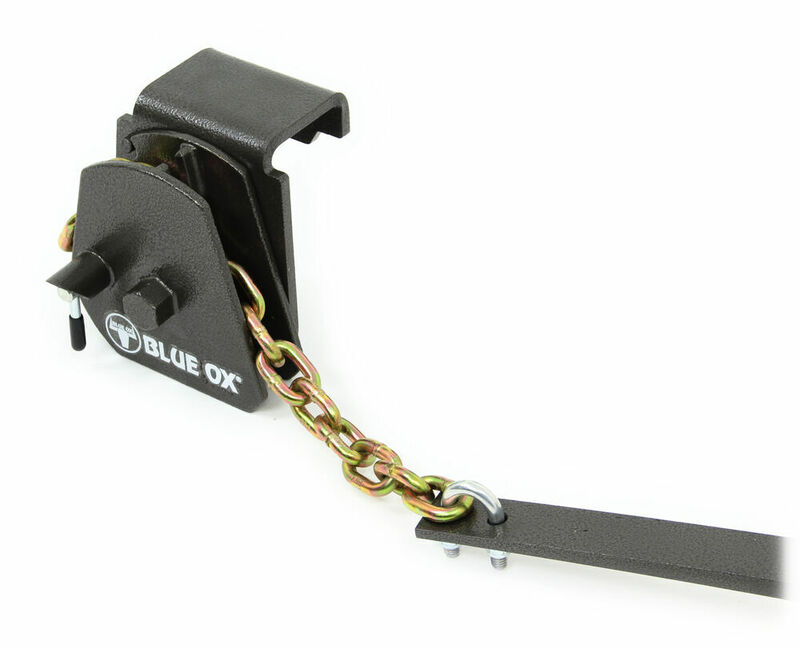 For your tongue weight range the correct Blue Ox Sway Pro would be the # BXW1500 but you would need a drop ball mount shank to allow you the drop you need. For that you would need the part # BXW4002.